The two archways, one at the head of Egremont Place and the other at Park Street, are another remnant of Thomas Attree’s original scheme to develop an exclusive estate of villas around Queen’s Park. Attree commissioned Sir Charles Barry to design these two formal entrances and it appears they were built at the same time as Attree’s villa around 1830. 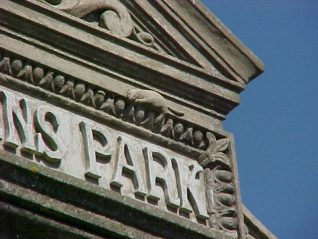 The Park Street Arch was restored in 1994 and a time capsule containing coins, documents and poems were included. 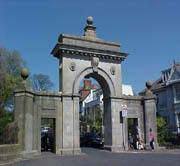 The Egremont Place Arch was restored in 1997. 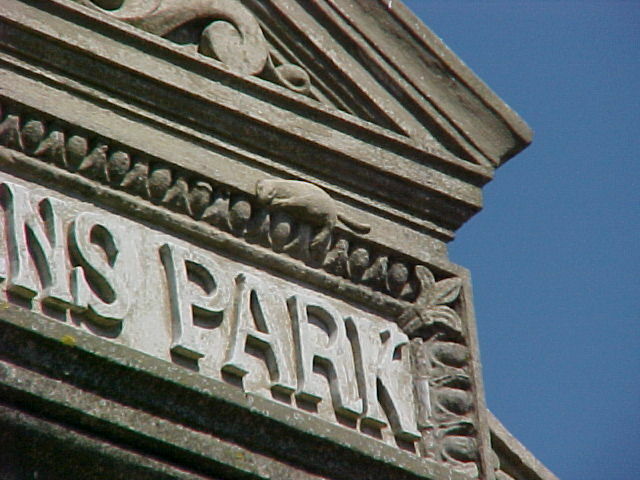 This time the plasterer Neil England left his mark on the Egremont Place Arch by including his personal signature in the stonework – a stone rat!